Taken during the launch of the no. 1 Japan's Tendon chain: Tenya Tempura Tendon for the opening of their newest branch at the Ground Floor of Market! Market! McKinley Parkway, BGC, Taguig. In the photo (from left to right): Ms. Lexi Schulze-Host, Mr. Chukri Prieto-Owner and Mr. Iggy Ramos-General Manager. Tenya has come to Philippine shores armed with a standardized cooking technique, promising a perfect balance between flavor and texture in every piece and every bite. Along with it comes the distinct Don Tare sauce; a condiment that is a special blend of secret sauces, giving a sweet and umami oomph in Tempura flavors. The Don Tare sauce has been specially made by a boutique soy sauce factory since the 1800’s, which is then shipped to every Tenya store in the world. Tenya truly is second to none when it comes to world-class tempura excellence because Tenya IS Tempura & Tendon. So if you haven’t had some yet, then you haven’t really had tempura at all. Don’t get left out! Tenya is now open to satisfy gargantuan sized cravings at the 4th Floor, Building A, SM Megamall, Ortigas, Mandaluyong City. You can also stop by the newest branches at the latest restaurant hubs for food enthusiasts at the 2nd floor, BGC Stopover Pavillion, Rizal Drive corner 31st Street, Bonifacio Global City, and at Market! Market! McKinley Parkway, Bonifacio Global City, Taguig. Also, look out for when the SM Southmall branch opens their doors to serve tempura-craving patrons real soon. The Philippines has served as a hub for cultural exchanges since the earliest times and it’s undeniable how this has highly influenced one thing that all Filipinos love – food. Through this, Filipinos get a taste of the diverse and exciting flavors from all over the world with some earning a permanent place in the hearts of many. One perfect example of that is how the arrival of Japanese classics such as the Tonkatsu, Curry, and Ramen started a food craze that swept the whole country and established a growing number of Japanese food lovers. 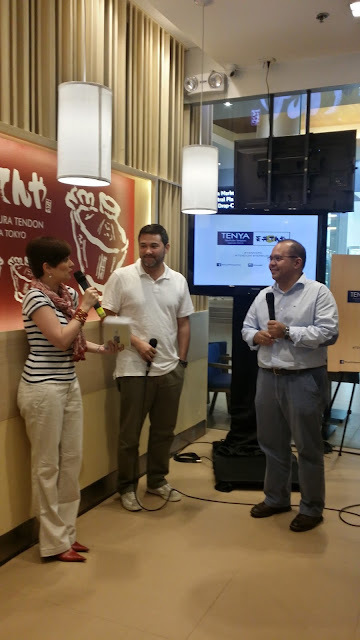 Now, primed and ready to create a new niche in the Philippines’ food scene is one of the most highly decorated and proudest food staples of Japan – Tenya’s authentic Japanese Tendons. A delicious ensemble of battered, deep-fried seafood (black tiger prawn, squid, kisu) and vegetables laid over a bed of steaming Japanese rice drizzled with Tenya’s signature Dontare sauce. It’s classic, it’s authentic, it’s Tendon at its finest. Big succulent black tiger prawns and green beans, battered and deep-fried to perfection with a hint of Tenya’s signature Dontare sauce, served on top of steaming Japanese rice. A flavorful mix of delicious black tiger prawns, kani stick, green beans, sweet potato and eggplant on top of a generous serving of hot Japanese rice with a touch of Tenya’s signature Dontare sauce. 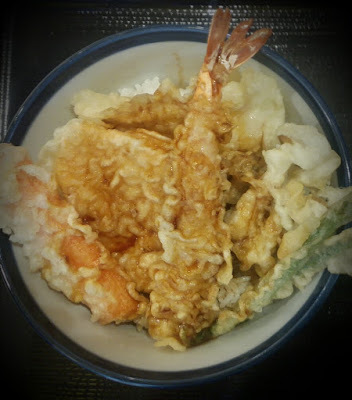 A tempura magic mix of shrimp, white onions and celery served on top of Tenya’s authentic Japanese rice. Big cuts of chicken fillets, green beans, corn kernels drizzled with authentic Japanese mayo served on top of steaming hot Japanese rice. A harmonious mix of kisu and kakiage with green beans served over freshly cooked Japanese rice. Golden brown and delicious tempura sits atop a bed of steaming Japanese rice. Each piece is made with naturally grown Black Tiger prawns and an assortment of freshly cut vegetables, dredged in specially formulated batter, then fried to perfection. It is then drizzled with Tenya’s signature and flavorful Don Tare Sauce, which is then absorbed by the Tempura, gently softening its batter, while adding flavor to the rice. For live updates, follow us on Instagram @tenyaph or on Twitter @TenyaPH. Like us on Facebook at facebook.com/TenyaPhilippines, or track us with #TenyaPH. See you online!